Some flower just makes you stop in your tracks, it’s so covered in trichomes and kief, so purple and dank, so tendriled with orange hairs. Pot of Gold grows that kind of weed! Purple Punch, an indica grown by Pot of Gold. They’re well-known in our stores as a top, top, top-tier grower of just a few strains of flower, and now, also a hand-roller of palm leaf blunts. We recently sat down with Jon Rothenberg, one of the founders of Pot of Gold, to ask about their company history, their growing methods, and what they’re excited about in the future. In a few sentences, please tell us a little about yourself. My partner and I are both 28 years old. We are best friends who met in college and decided to get serious with each other and the plant. I always had a taste for fine things in life, and so it felt natural to find ourselves gravitating towards exotic and exclusive smokes. Been chasing our passions since: hustling to find a way to make our imaginations real, one step at a time. Passion and curiosity. Cultivating cannabis has been a vocation for us ever since first sprouting seeds. Outside of the rigorous and rewarding business challenges that the industry offers, it is the perfect nerdy combination of engineering and artistry. The responsibility to do right by the plants has us constantly switching gears. One day we have to be plumbers and HVAC technicians, diagnosing the macro-environment; the next day has us training and pruning the plants to encourage each individual as best we can. It’s a great work/life balance, and it’s all fueled by this plant we love; we think it’s badass. Tell us about your growing methods. What do you practice, and why? In order to discuss growing methods, we’ve got to break it down to the elements we can discuss: our environment, our training, our nutrients, and our other processes. So first, we grow indoors. Moving the garden indoors from a field allows us to get more crops every year; it also lets us grow the consistent quality that we intended. For our plant training, we mainly focus on cultivating a canopy. We top the plants once to encourage a spread in the canopy, and then mainly focus on defoliating to get as much light penetration and bud swell as we can. For our nutrients, we grow in hydroponics. We choose our nutrient blend, again, because of the consistency that it offers. Growing in hydroponics helps the plants out by providing a tailor-made solution of macronutrients for them to buffet on. When you combine that full plate alongside a happy home and good support, you’ve got a plant ready to thrive! Lastly, there’s a bunch of little stuff we do to help deliver. Growing really isn’t any one little secret trick or silver bullet, but a million little steps practiced everyday. We make sure every plant gets a full two-week flush prior to harvest. And rather than using any artificial pesticides, we release a variety of predatory insects to help tend to our garden. We practice another two-week slow dry to help lock in flavor, and lastly, we have a dedicated curing room where everything gets ready to enjoy. Take a video tour of Pot of Gold’s entire operation! What’s your favorite Pot of Gold product? A Girl Scout Cookies blunt! She’s the most stoney of the strains we grow right now, and it’s hard for me not to be proud of the packaging that it comes in. We hand make each of the products and finish it all off with a classy wax seal. Cheers! What are you looking forward to in the coming months for Pot of Gold? Tons of new strains coming up, pre-rolled joints, more blunts, maybe some rosin, too. 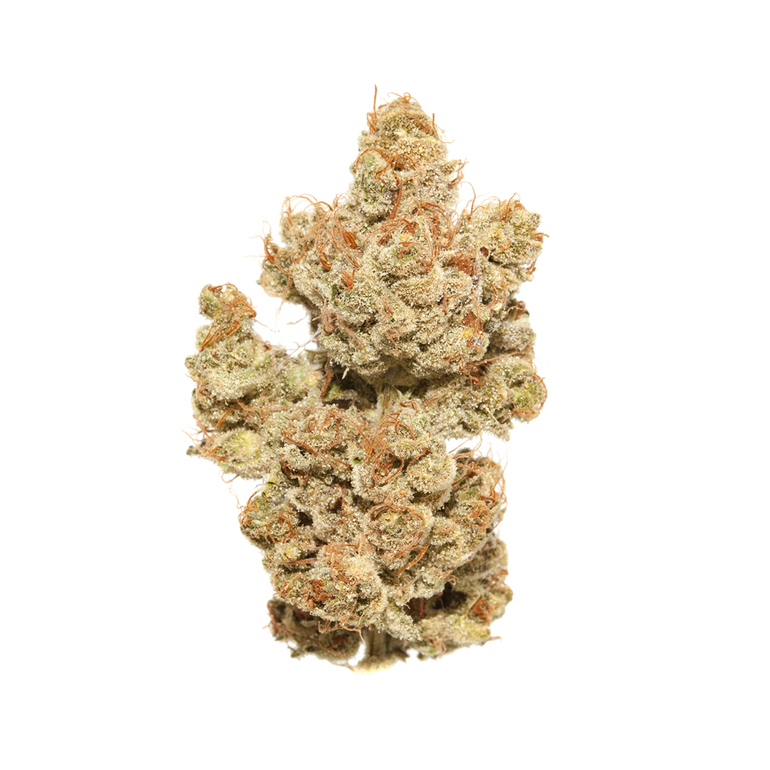 To tease a few new strains: Wedding Cake, Gelato, Sundae Driver, Triangle Kush. Thanks to Jon for sharing his time, knowledge, and beautiful flower and blunts with us! You can find all strains grown by Pot of Gold, and all their available blunts, at either Hashtag dispensary in Fremont or Redmond. In fact, you can meet Pot of Gold yourself this weekend! They’ll join us for a #KnowYourGrower vendor day in Fremont on Friday, December 14 from 3pm to 6pm, and in Redmond on Saturday, December 15 from 1pm to 4pm.